OFFICE HOURS: Now open all day Saturday for your convenience. We are closed over the Easter Break. Wishing all our clients a Happy Easter! 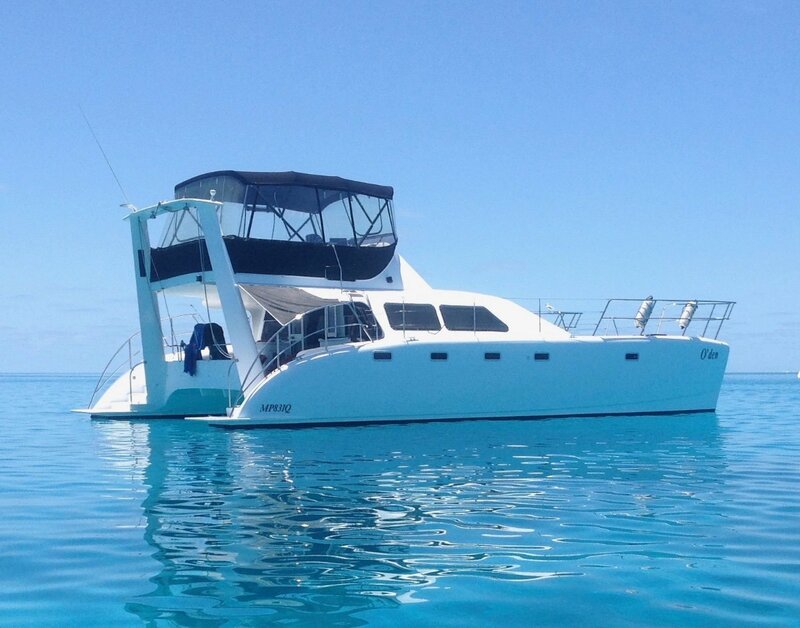 The Catamaran Company Pre-Owned Brokerage division offers you a wide range of vessels for sale, Australia-wide and throughout Asia, USA, Europe and the Pacific Islands. We provide outstanding service and advice based on over 30,000 miles of cruising / racing and twenty-four years in boat sales. 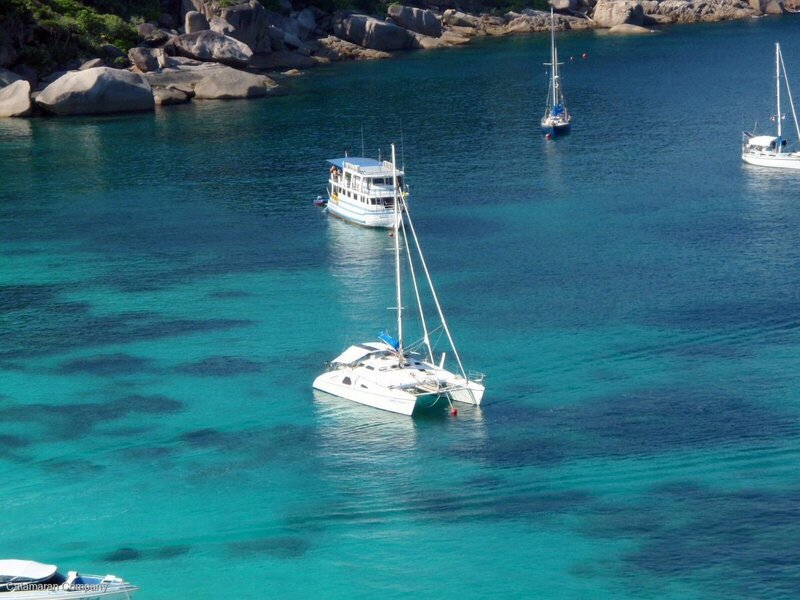 Whether you wish to sell your boat or buy a quality power catamaran or sailing catamaran, we offer you new and used boats, finance packages, arrange transport and delivery, insurance valuations and if you are bringing a boat in from overseas, talk to us about a customs valuation. Fulfilling your dreams begins with a single step……..
Just wanted to relay a very BIG THANK YOU to Celine and all the team at the Catamaran Company. From the moment we saw our sailing cat on your listings, we knew it was the one we just had to investigate. All our dealings with your company were handled with the utmost professionalism. Celine who handled all the liaising and paperwork was probably the most professional and supportive person I have ever met in a role that requires excellent PR skills. Her sailing knowledge was very evident from start to finish and has helped us tremendously in planning some small upgrades to the vessel. Overall, the Catamaran Company’s professionalism and support has made the experience of purchasing a boat very smooth and pleasurable. We would like the thank all the staff very much and would definitely recommend them to anyone looking to buy or sell a boat. 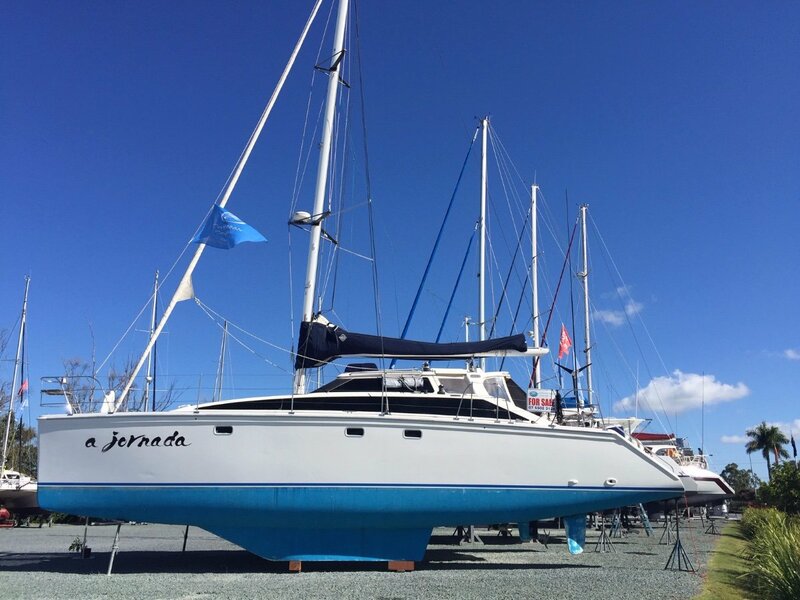 “Now that our boat is sold we would like to say thank you to the staff at the Catamaran Company for such wonderful service. Especially Celine, for her very professional and supportive manner throughout the sale. Given how involved the process is, it made our experience so much easier.” Peter C.
with his no nonsense and practical approach helped us navigate easily and smoothly, especially in the middle of the pre Christmas madness. Danielle, you’re a gem, everything was organised and emails came back instantly, paperwork filled out and questions replied to without fuss. We love our new boat and hope to drop by one day to show you how far we have come, live and learn, enjoy life and have fun !!!! The search for the right vessel is a complex exercise and the negotiation to secure your dream can be stressful. Ian Mackenzie at the Catamaran Company listened rather than sold and then advised to help us secure Anui, the catamaran of our dreams. Both Ian and Danielle assisted us through the paperwork, simplifying what can be a daunting process. The after sale service was exemplary, with help to organise trades, take delivery of gear, line up berthing on our behalf. Nothing was too much trouble. 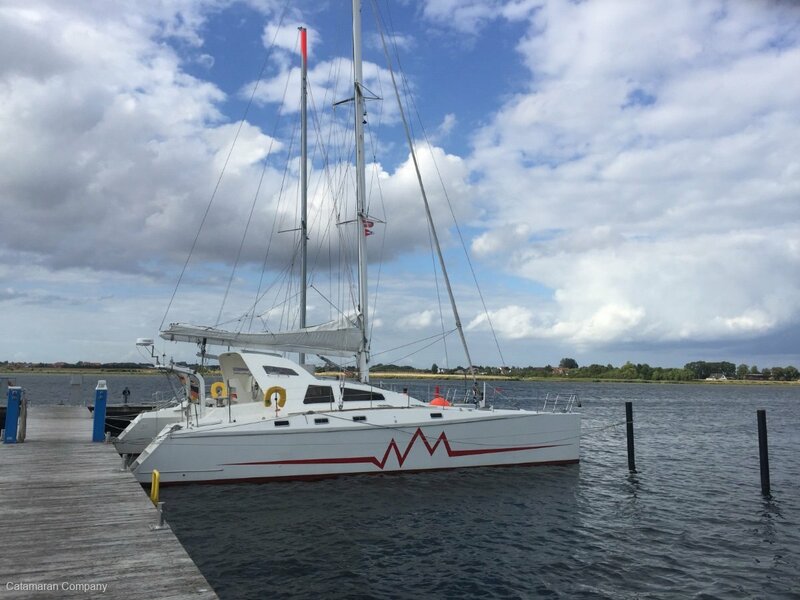 We are thrilled with our purchase of Anui, our 52ft Crowther catamaran. We would have no hesitation in highly recommending Ian McKenzie to boat sellers or buyers. Selling your boat can be a complex and emotional experience. You are looking for the best outcome achievable and yet it can still be a bitter/sweet experience. There are a lot of uncertainties. We listed with Ian and the Catamaran Company as we were impressed by his calm and knowledgeable approach to the process that lay ahead. Ian’s advice on how to best prepare the vessel was clear and concise and proved most rewarding. A buyer was found within a 10 day period with a written Offer To Purchase received soon after. Ian guided us through the process of price negotiation in a thoughtful and logical manner. Through this process we achieved our reserve price. While selling our boat remained an emotional experience we felt supported throughout by Ian with the outcome being sweetened by achieving our desired sale price. 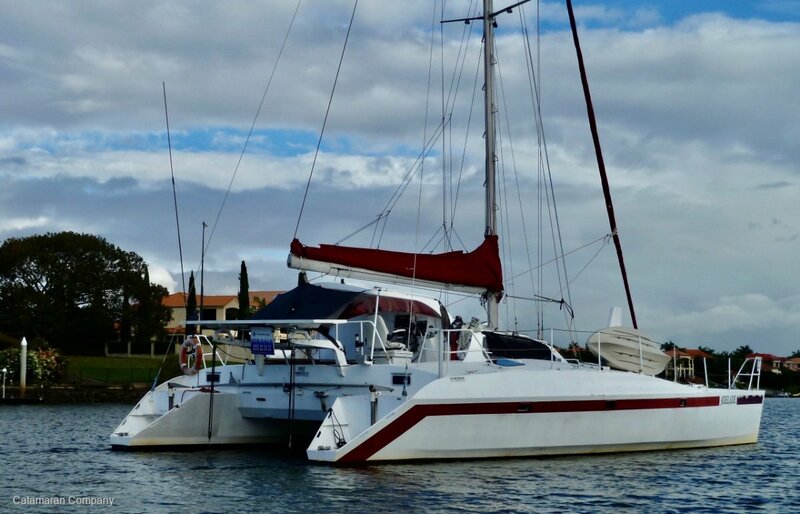 We recommend Ian and the Catamaran Company to anyone seeking to achieve a positive outcome from placing their vessel on the market.